The New Humanitarian | What’s happening at Kerem Shalom? What’s happening at Kerem Shalom? Kerem Shalom is currently the only entry point for commercial and humanitarian goods from Israel into Gaza, and as such has become a life-line, but how does it work? A small crossing without the facilities to allow large numbers of trucks to enter, Kerem Shalom lies inside Israel, 3km from the Gazan town of Rafah on the Egyptian border. 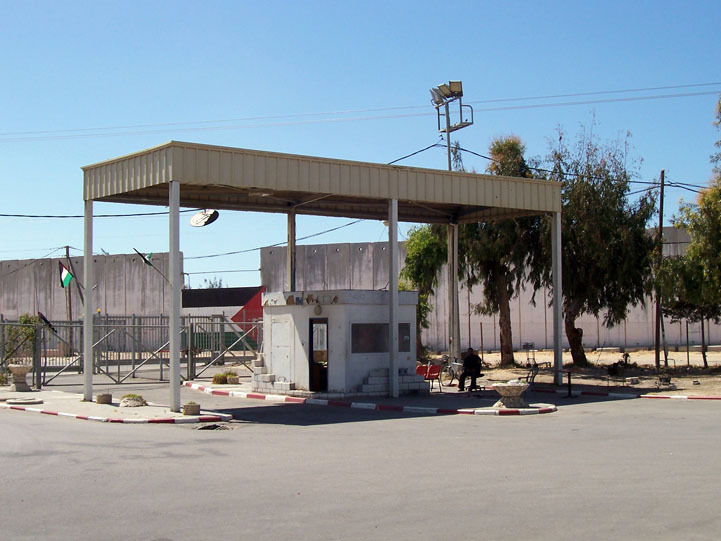 The only people authorised by Israel to physically access Kerem Shalom are employees of Shaiber Company, a private Gaza company with permission from Israel to access Kerem Shalom to retrieve imports. The company declined to comment. The Gaza authorities cannot access Kerem Shalom. Israeli truck drivers dump pallets of goods in an open area and withdraw, and then Palestinian truck drivers from Gaza enter and retrieve the goods, according to senior Hamas official Ghazi Hamad and Gaza traders. Israeli authorities say they are using Kerem Shalom after closing the much larger and better equipped Karni crossing because of Palestinian attacks on Karni - which left several Israeli soldiers dead - several years ago. Kerem Shalom is completely controlled by Israel. Fifteen trucks containing carnations are the total exports from Gaza this year. There is also no contact between the Gaza finance ministry and relevant ministries under the PA in Ramallah, said Shaer. There is no lighting and containers are prohibited on the Palestinian side of Kerem Shalom by Israel, according to the logistics cluster led by the World Food Programme. “We cannot operate Kerem Shalom at night. If we put lights there, snipers can use this to fire against the crossing,” Israeli Defence Ministry spokesman Shlomo Dror told IRIN. Empty Palestinian trucks are lined up from Rafah to Kerem Shalom, waiting to pick up any goods the Israeli authorities may allow through. Once the Gazan trucks are loaded they trundle off to Rafah where Gaza government officials begin their intake process. There is no scanning equipment; officials check the documentation for each truck and its contents. Palestinian traders pay taxes to Israel, and the Gaza government collects 14.5 percent value added tax (VAT) on the goods, Shaer said. Gaza and the West Bank are treated as part of the same customs envelope by Israel, which collects the customs taxes and is supposed to remit them monthly to the PA in Ramallah, according to the Paris Protocol signed in conjunction with the Oslo Accords in 1994. A major trader in Gaza City who preferred anonymity said he was importing mainly electronics via Kerem Shalom “since shoes and clothing are not allowed to enter”. “The government in Ramallah coordinates with the Israeli authorities so I can get pharmaceuticals into Gaza,” said Nader Shurrab, owner of Gaza Central Company, the largest pharmaceutical importer in Gaza. 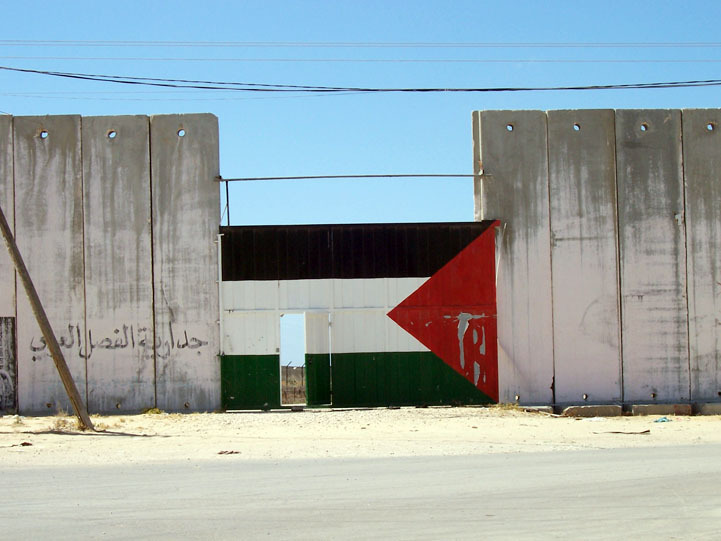 There are five crossings into Gaza - four from Israel and one from Egypt. Rafah and Erez are passenger crossings; Nahal Oz is only for fuel; the Karni conveyor belt is only for wheat and animal feed. As of mid-April the Israeli authorities have been allowing 32 types of products to enter Gaza, said the Palestine Trade Centre (PalTrade) in Gaza. According to the Coordinator of Government Activities in the Territories (COGAT - under the Israeli Defence Ministry), in April, 92 percent of goods allowed to enter Gaza via Kerem Shalom were food and hygiene products. Construction material, spare parts, agricultural inputs including livestock, and IT equipment are on the banned list, according to OCHA. The 22 March Israeli cabinet decision to lift restrictions on food items allowed to enter Gaza has yet to be implemented, reports the logistics cluster. “The lack of imports has halted over 90 percent of Gaza industries and created massive shortages of food and basic supplies,” said Hamas’s Hamad , who failed to mention the dozens of illegal tunnels between Egypt and Gaza, which however, provide only limited supplies due in part to a clampdown by the Egyptian authorities and damage by Israeli security forces . “The Israeli authorities allow 80-110 trucks per day to enter Gaza via Kerem Shalom,” according to Hamad, though prior to June 2007, when Hamas won elections in Gaza, about 475 trucks entered Gaza from Israel daily, according to OCHA. The Israeli standpoint is somewhat different: “The amount of trucks containing humanitarian aid has been consistent in March and April. There are no shortages of humanitarian aid or other supplies in Gaza… The situation can change, but it depends on Hamas, if they recognise that caring for civilians is their responsibility,” Dror told IRIN.